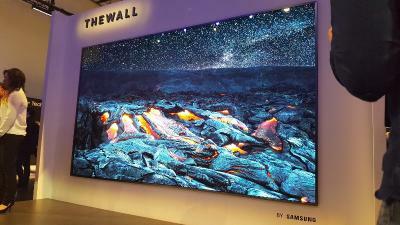 In July 2018 Samsung said it aims to launch its first "consumer" Micro-LED TV, based on its modular The Wall display in 2019. Yesterday Samsung launched a new home screen range in India - that could in fact be based on a Micro-LED display. The new TVs are branded as Active LEDs (also "LED for Home") and are based on modular LED tiles. The TVs are offered in 4 sizes - 110-inch (Full-HD), 130" (Full-HD), 220-inch (UHD/4K) and 260-inch (UHD/4K). The prices range from 10 million Rs (around $137,000) for the 110" to 35 million Rs ($480,000) for the 260-inch TV. As Active-LED TVs are modular, consumers can choose different shapes (but only one of the available resolutions/sizes). 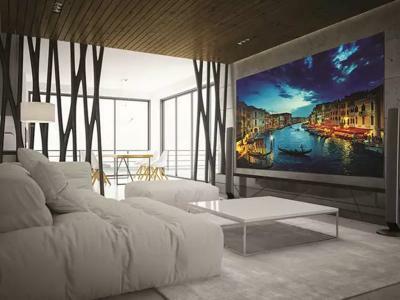 In January 2018 Samsung unveiled its first Micro-LED TV, the 146-inch modular Wall, and started accepting pre-orders in June 2018. In February, Samsung's rival LG said that it is developing its own Micro-LED TV and it was rumored that it will unveil its first prototype in September 2018. In a new report, the Korea Herald now claims that LG is indeed on track to reveal the first TV in September 2018 (at the IFA conference in Germany, which actually starts on August 31). LG's first TV will be larger than Samsung's demonstrated device at 175-inch. Samsung's TV however is modular, so it can be made larger. It is not clear whether LG's Micro-LED TV will have the same design.